The reality is that most water waste in irrigation occurs in the delivery systems, not on-farm. 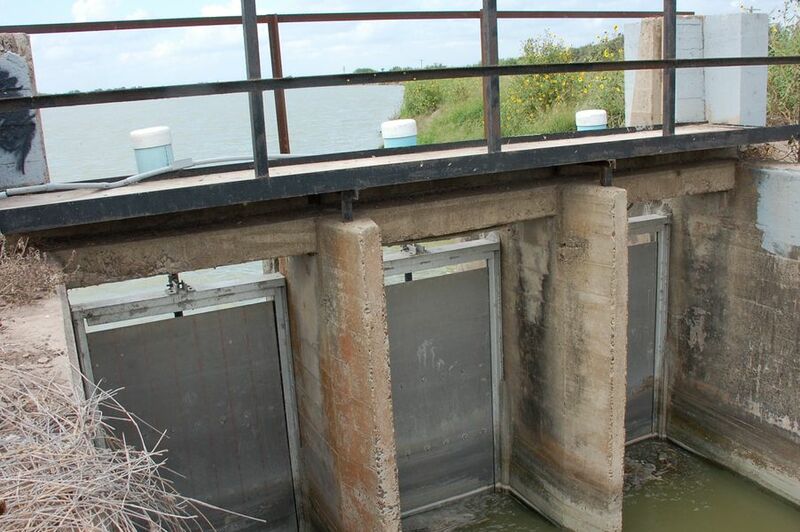 The Harlingen Irrigation District (HID) has researched, tested and analyzed multiple methods for saving water. The biggest water savings come from tailor-made yet inexpensive technology that your irrigation district can implement. The automated system uses low-cost, off-the-shelf technology that can be easily replicated. Click below for FREE detailed drawings, specifications, instructions, and photos for fabricating and installing. All details on the housing, power supply system and electronic circuits that read signals and transmit data for telemetry systems. All details on automatic gates, including specifications on the actuators, motor and controls for raising and lowering the gate. HID has a fully automated system that integrates 40 miles of canal, 200 miles of pipeline, 37 automated gates, and 36 re-lift pump houses to manage the process of moving about 52,000 acre-feet of water per year from the river to the farm. Click here for a video about the District's improvements. The network alerts HID staff to changing conditions and the automated system is saving 40 to 70 acre-feet of water per irrigation period – or as much as 200 acre-feet of water per year. All components are networked by telemetry stations and remotely controlled from a master computer system, or SCADA (short for supervisory control and data acquisition). Canal riders and other personnel can access this secure network through any electronic communications device – cell phone, desktop or netbook – in order to check on the status of system components. This enables a rapid response to a variety of situations that can arise in an irrigation water delivery system. Historically, an overflow or a drained canal would not be corrected until the canal rider inspected the canal. Now, the sensors send signals through the telemetry that alert staff to a problem that needs attention. The remote telemetry system is capable of measuring, recording, delivering, and analyzing measurement data, such as the depth of water in a canal. The lightweight aluminum gates are controlled by telemetry. They are raised and lowered by means of a common 12-volt actuator powered by solar panels and/or wind generators, ideal for remote areas not served by power lines. The gates are equipped with sensors that monitor water levels. Staff can set the gates to automatically open or close in response to changed levels, keeping the entire irrigation system charged and at an optimal performance level. 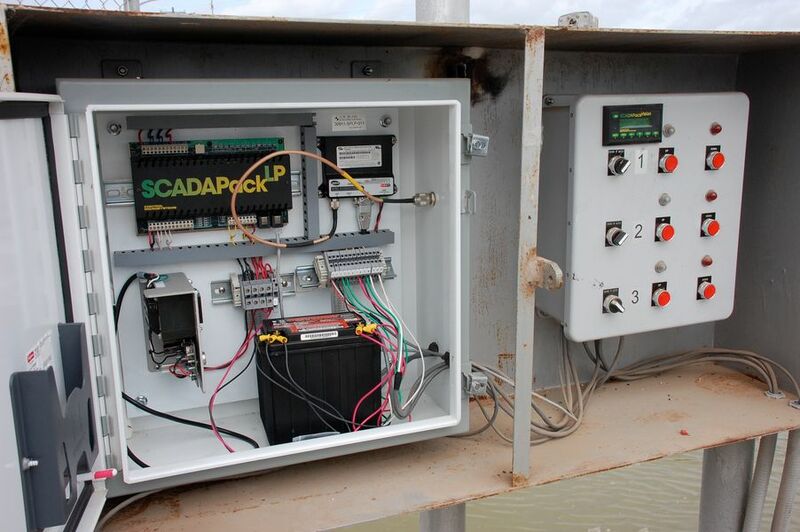 For more information, check out the factsheet on telemetry and SCADA. El Paso Irrigation District and the Lower Colorado River Authority are early adopters of HID-engineered systems. Hands-on training in low-cost, off-the-shelf technology for improving district operations is available at the project's Rio Grande Center for Ag Water Efficiency. The Texas Project for Ag Water Efficiency (Texas AWE) was a 10-year project that investigated benefits of different irrigation techniques with the greatest water savings and economic gain. Website managed by WaterPR.